Canon BioMedical has launched the NovalleleTM HRM Analyzer, which allows scientists to analyze data from any thermocycler. Until now scientists who genotype using a thermocycler have relied on the software accompanying the instrument for data analysis. This model has prevented scientists from easy comparison of data derived from different thermoclers. The Novallele HRM Analyzer solves this problem via a free, web-based software that can analyze data from different thermocyclers and well plate formats. The new software provides an intuitive and easy-to-use interface with a broad set of algorithms capable of analyzing high-resolution melting (HRM) data from different thermocyclers. PCR followed by HRM is a fast, reliable, and cost-effective method for DNA genotyping. 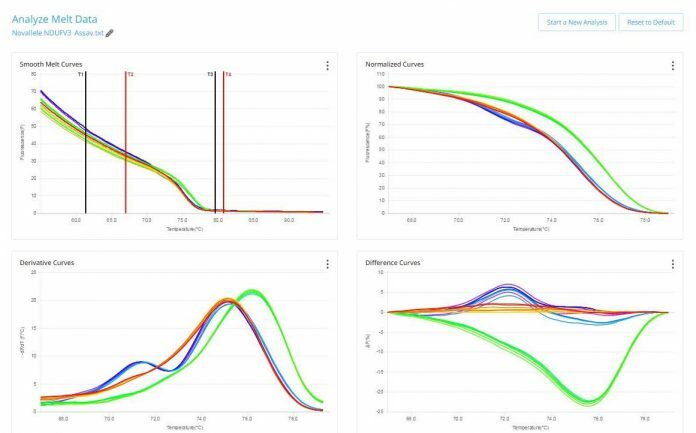 The Novallele HRM Analyzer compliments the Novallele genotyping assays, in conjunction with the Novallele Controls Sets, to seamlessly analyze HRM data. The software does not require download or installation and is available at www.canon-biomedical.com.